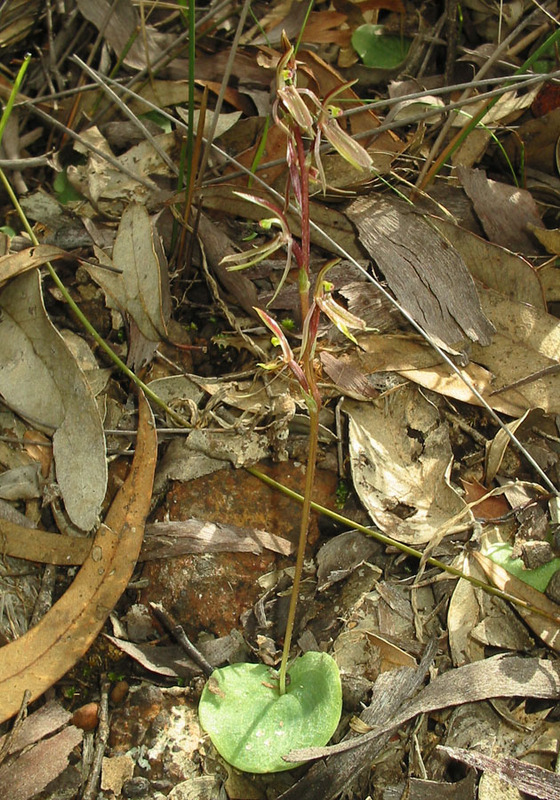 This genus contains five species, three of which are found in Western Australia. 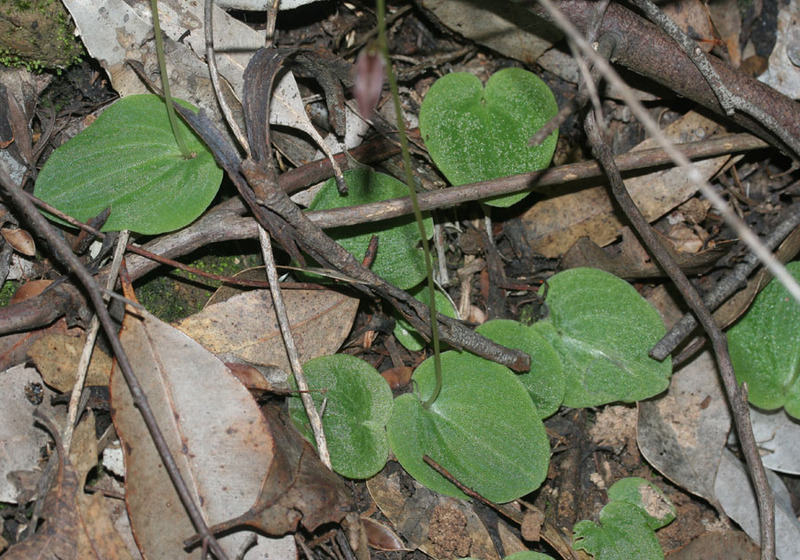 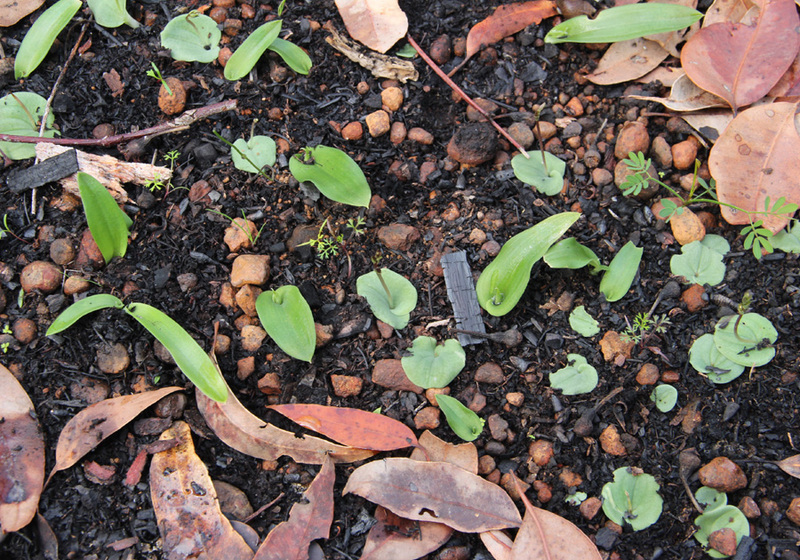 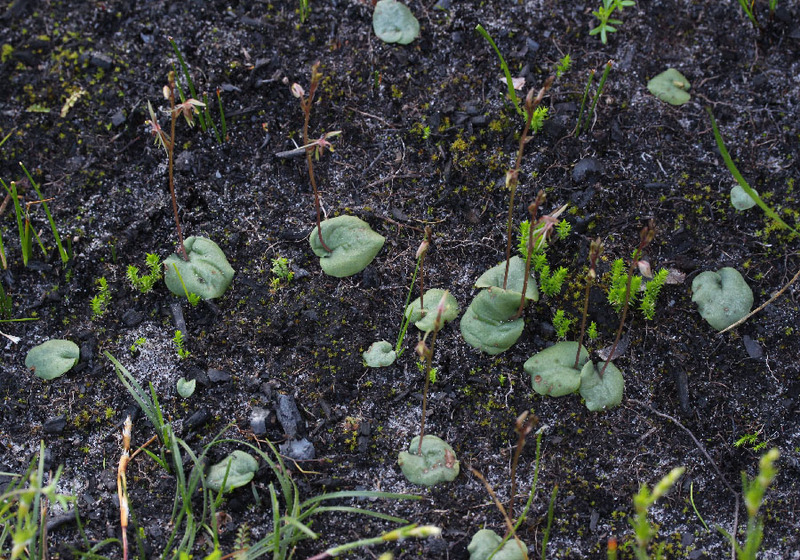 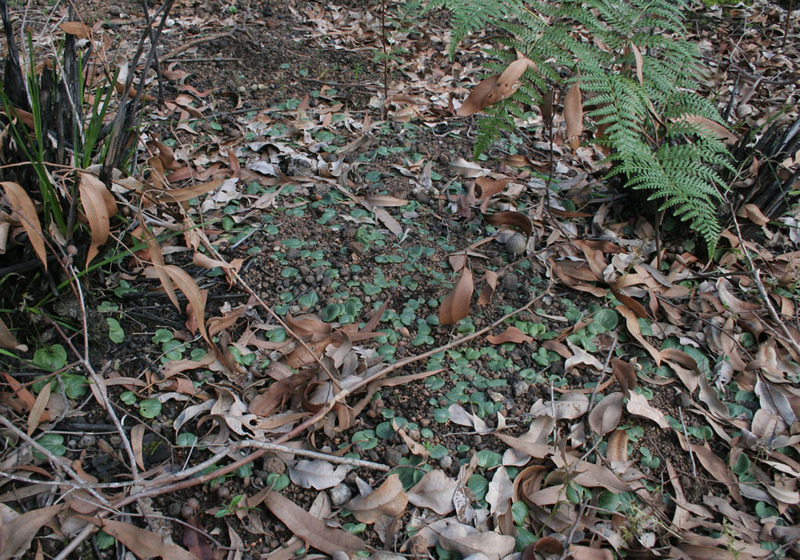 They have small (2-5cm) ground hugging leaves which resemble those of Corybas. 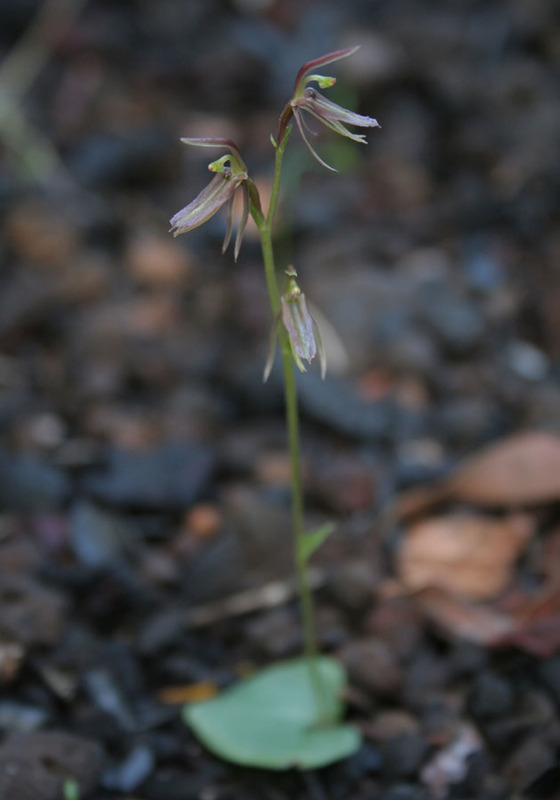 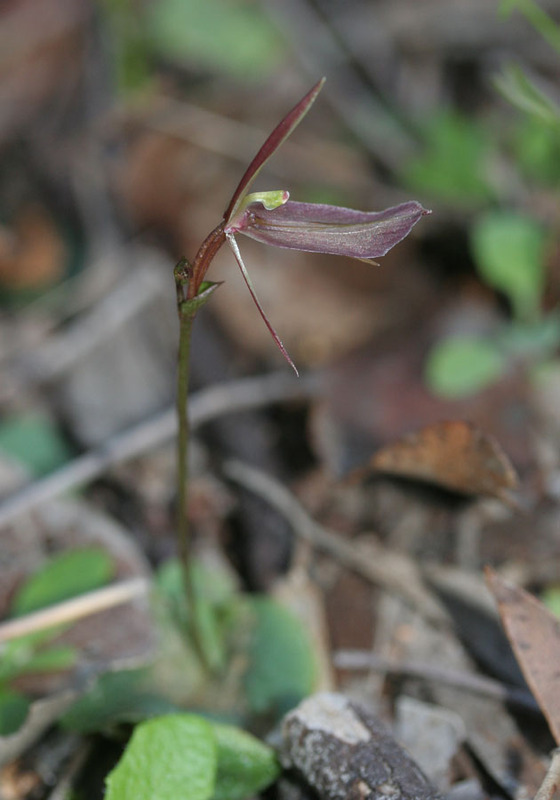 Mosquito Orchids are found in sheltered moist areas such as the margins of swampy areas and underneath dense vegetation. 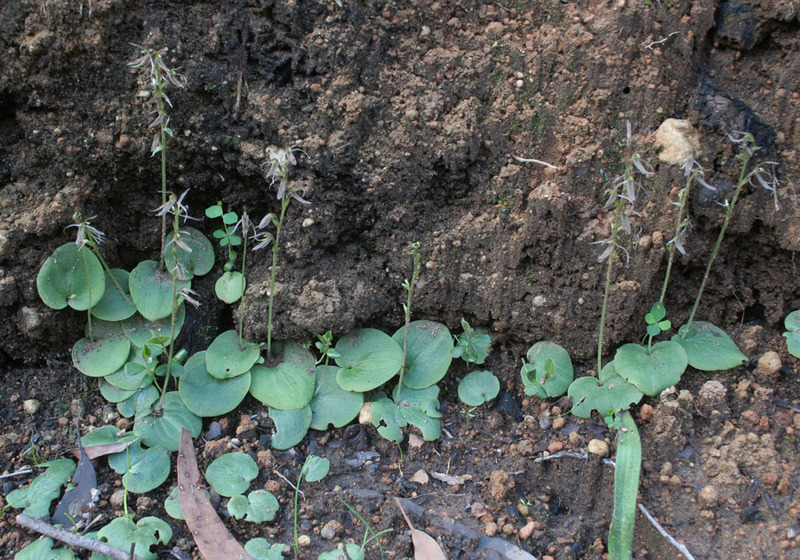 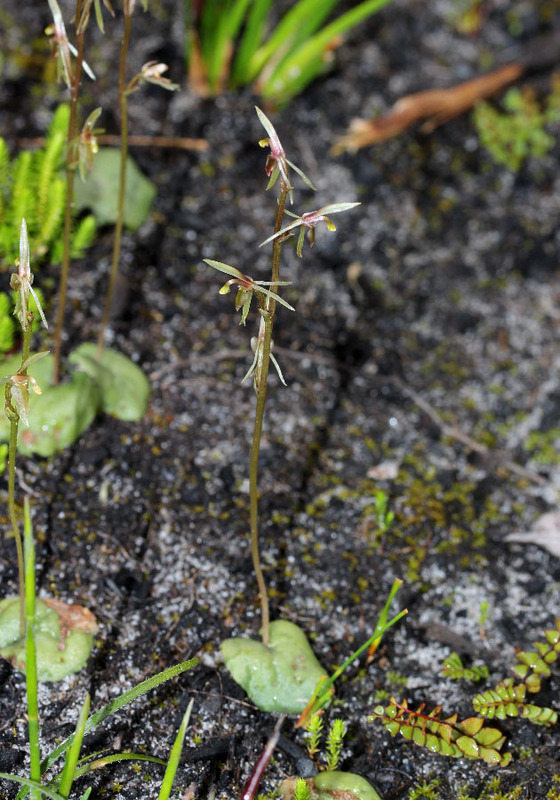 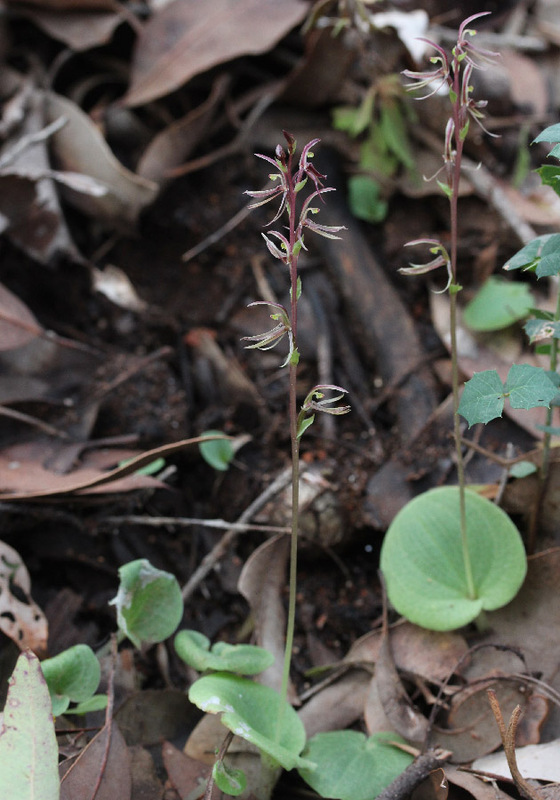 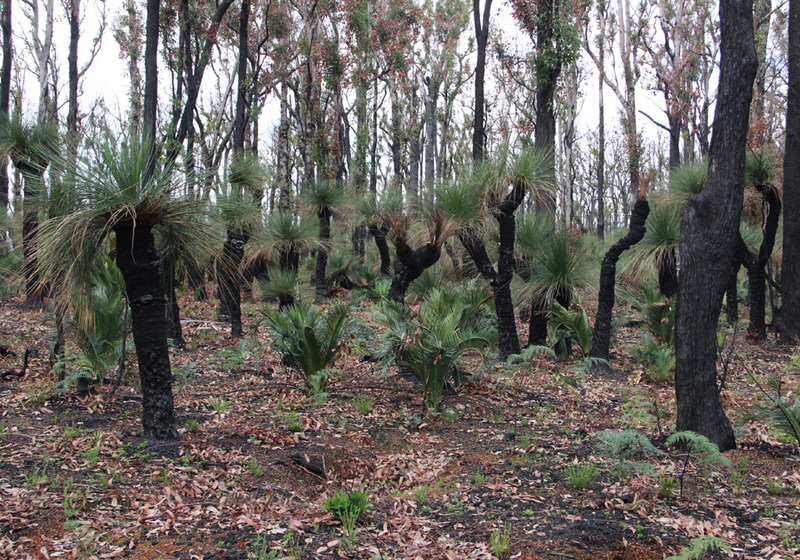 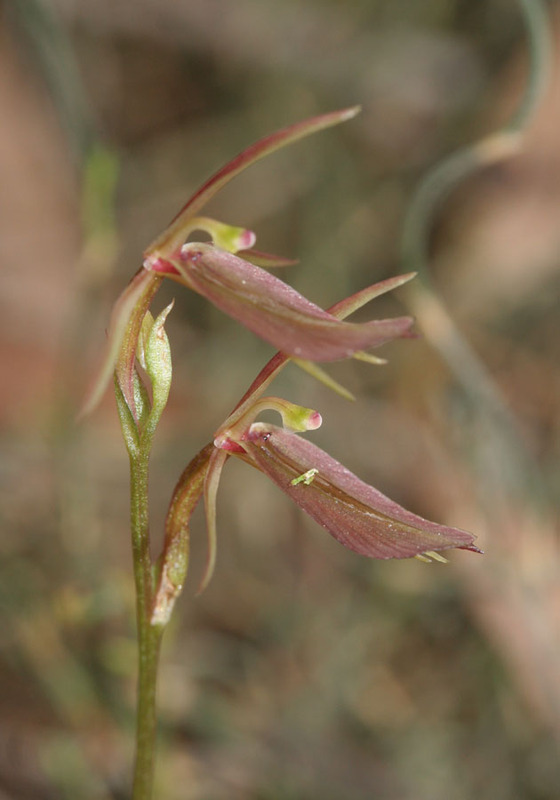 They often form dense colonies with hundreds of plants, which in good seasons will put on a good show of flowers, particularly in the flowering season after summer bushfires. 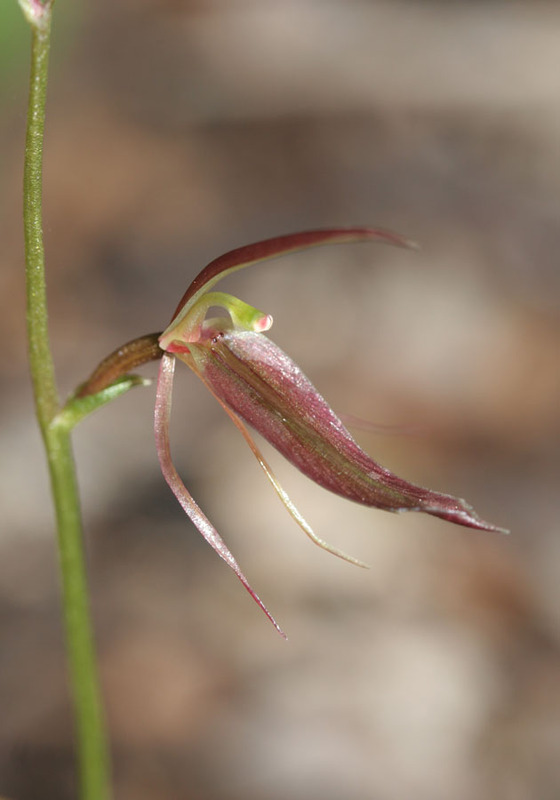 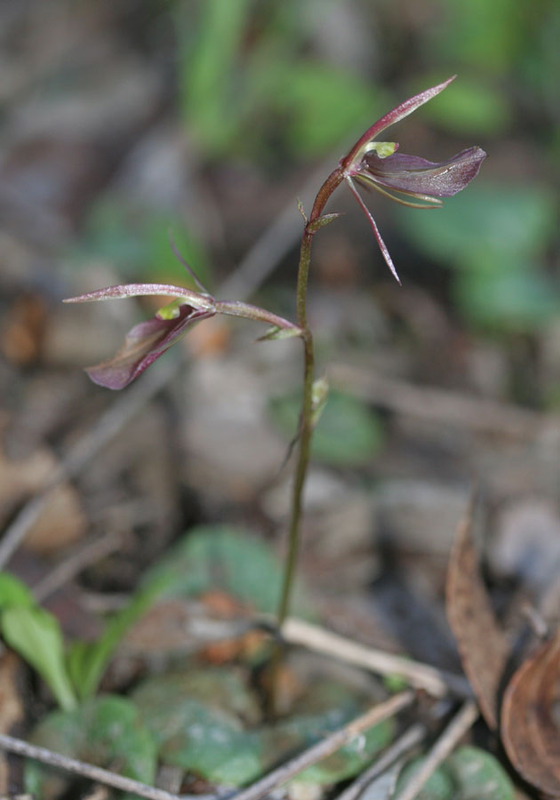 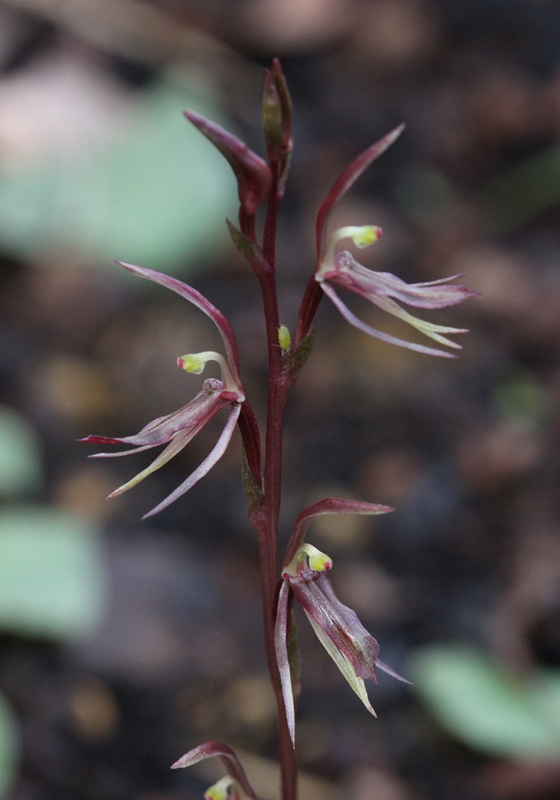 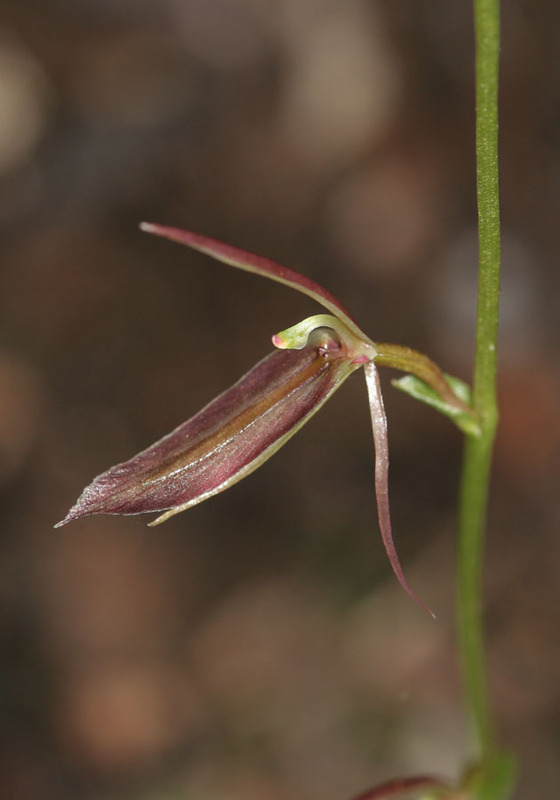 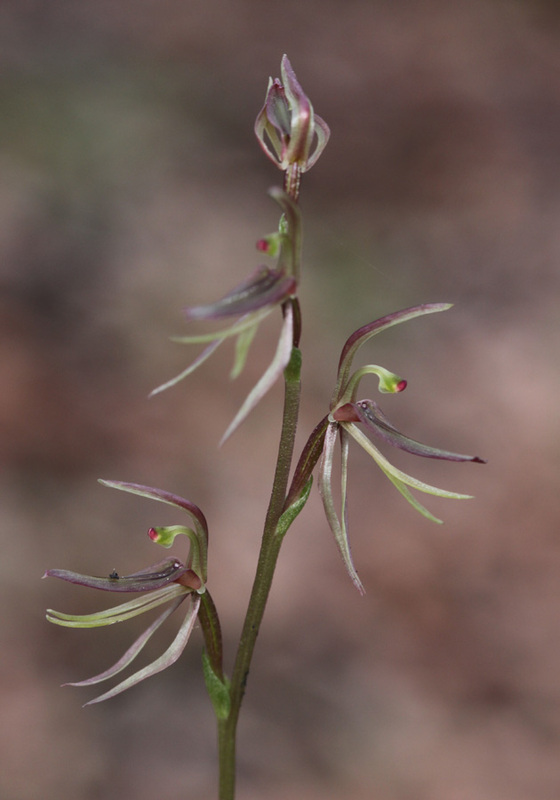 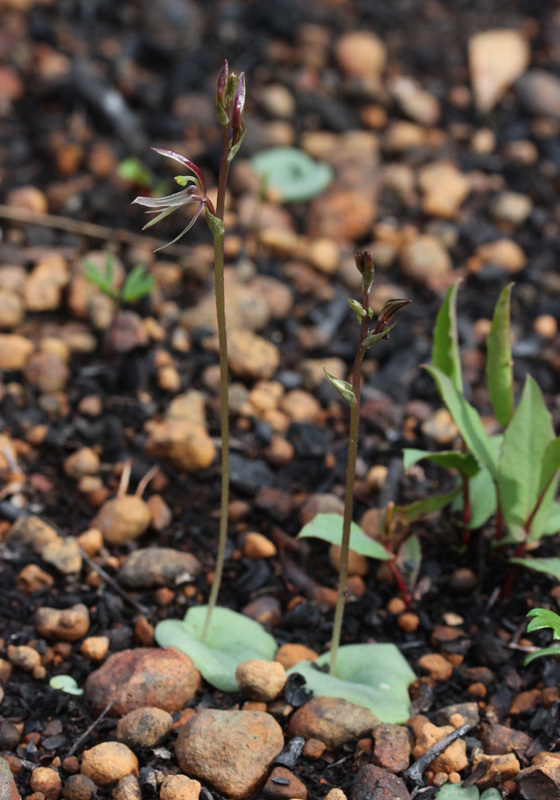 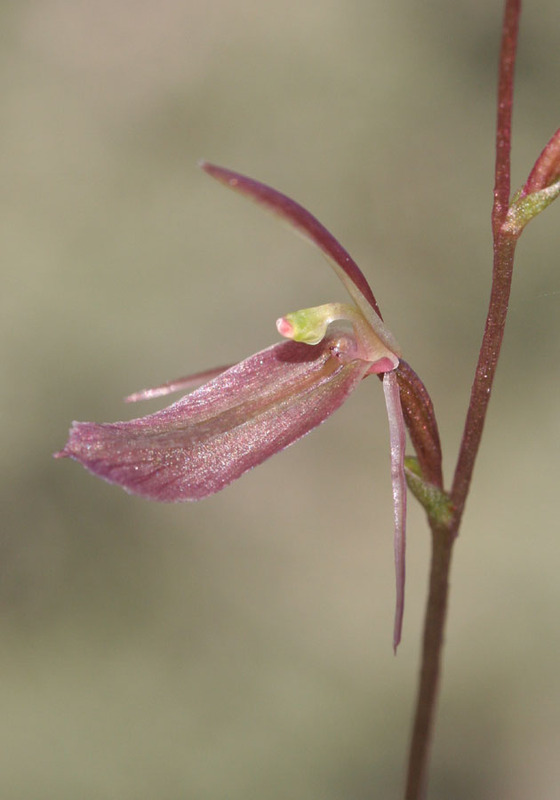 The Mosquito Orchid is distinguished by its more colourful flowers and broad labellum. 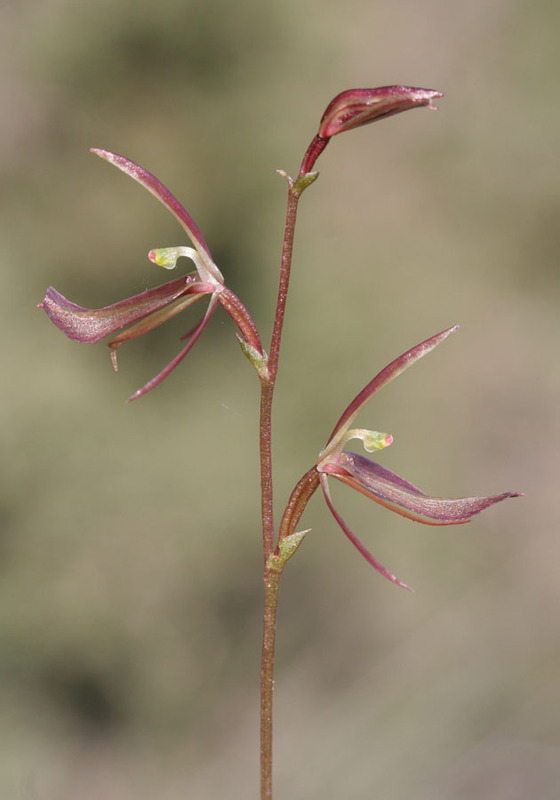 It is found mainly between Busselton and Israelite Bay east of Esperance. 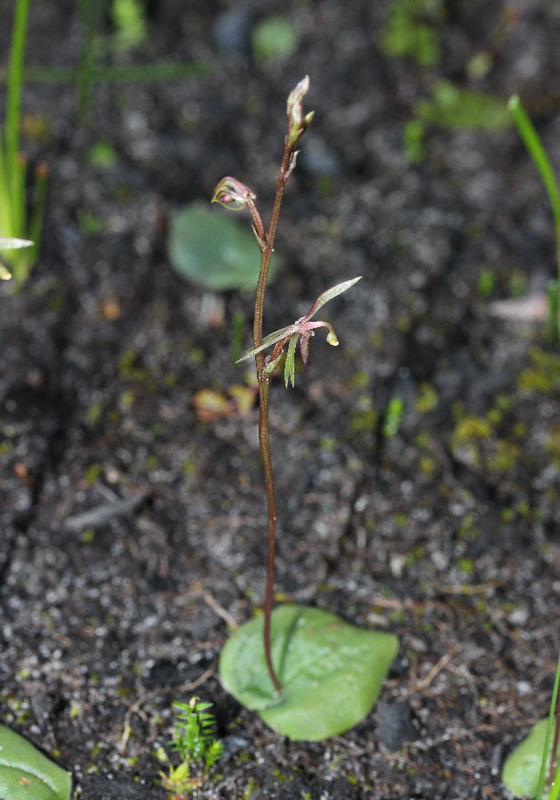 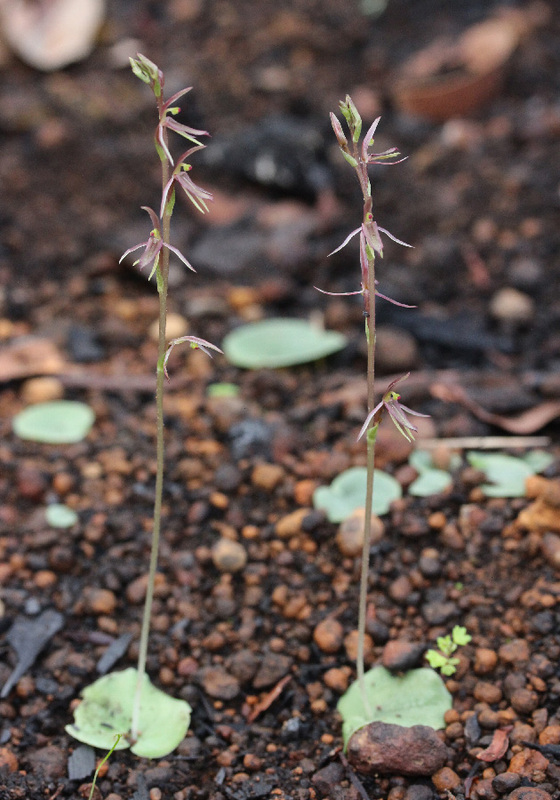 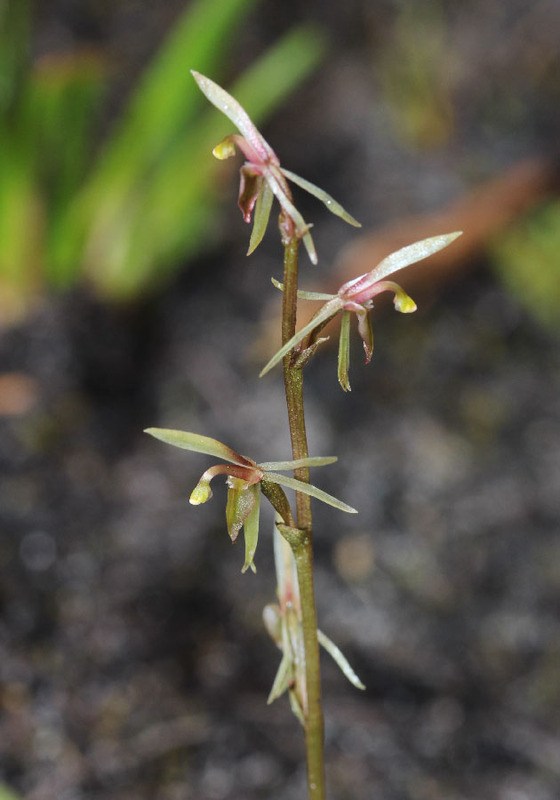 It flowers a few weeks earlier than the Midge Orchid. 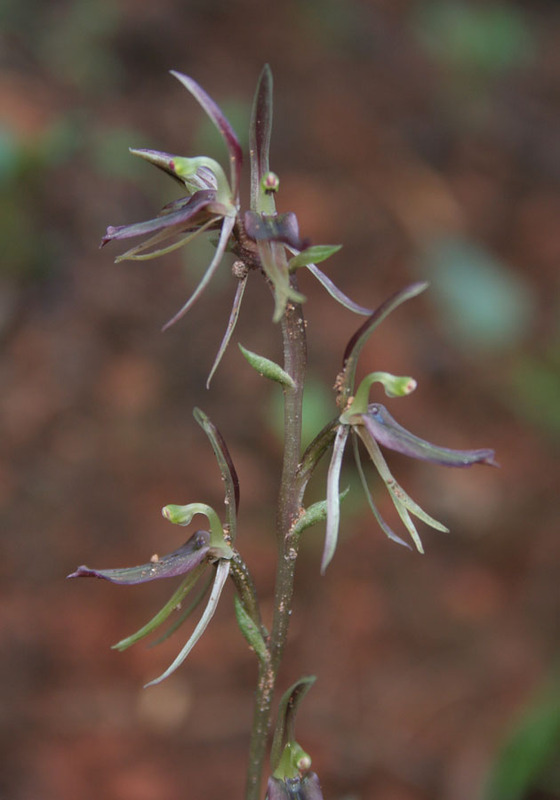 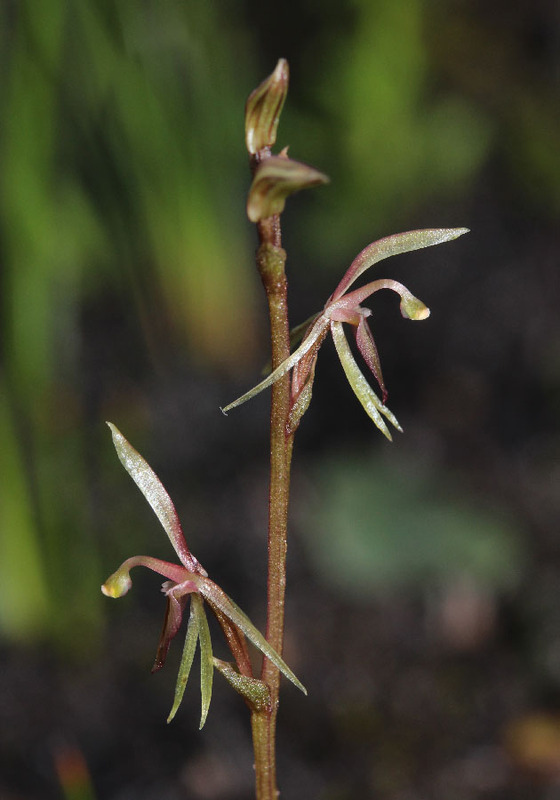 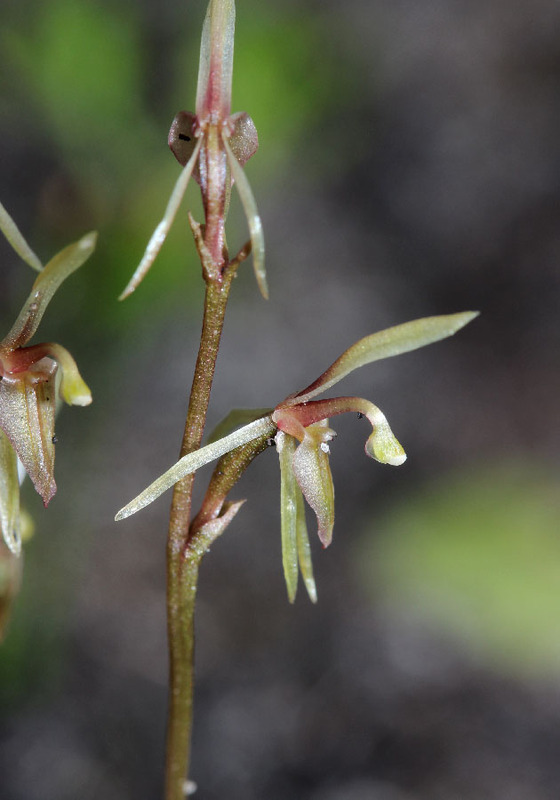 The Midge Orchid is distinguished by its narrow labellum. 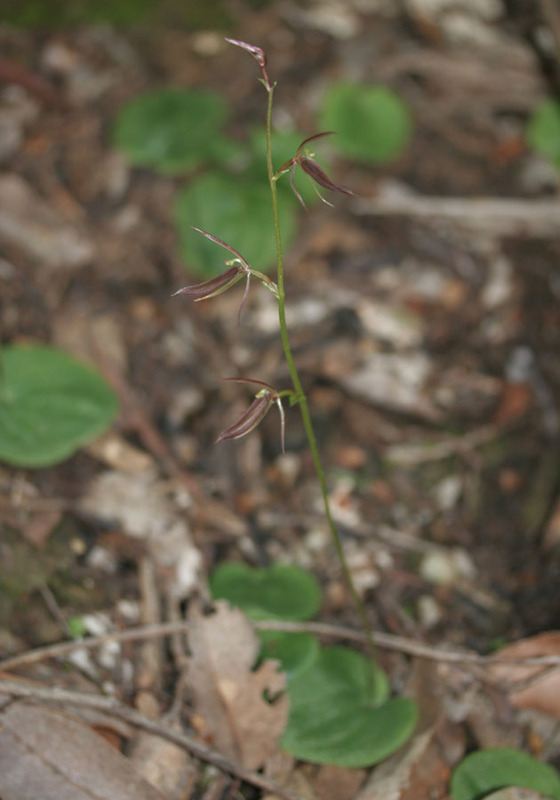 Apart from that, it is mostly the same as the Mosquito Orchid. 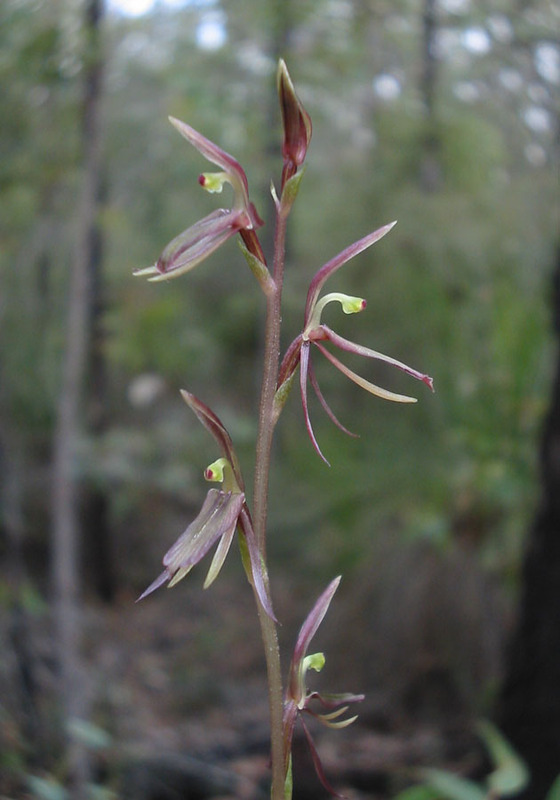 It is found mainly between Perth and Albany. 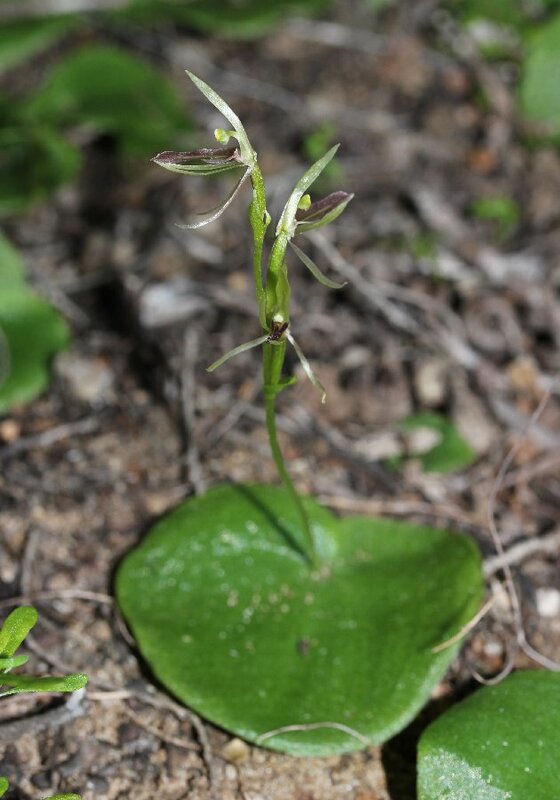 The Gnat Orchid is the smallest of the Mosquito Orchids, with plants and flowers being about half to two thirds the size of the other two species. 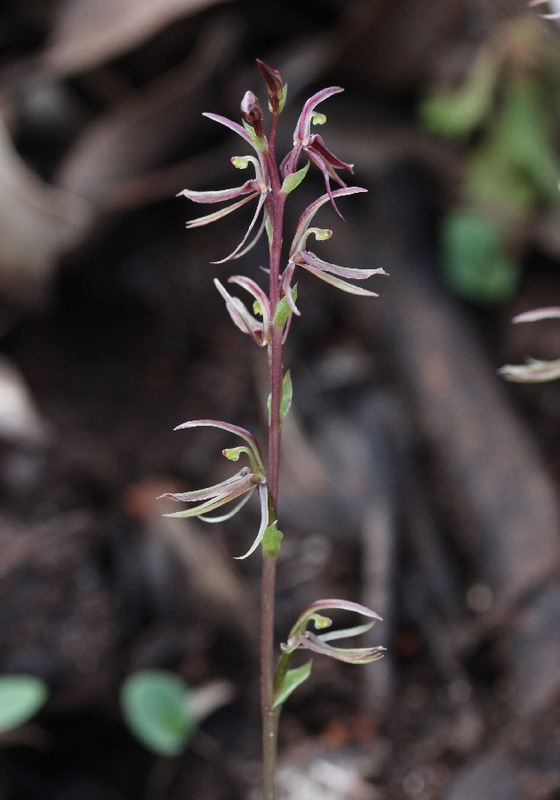 The flowers are easily distinguished by the triangular labellum and the habit of the pepals in pointing almost exactly the opposite direction of the dorsal sepal. 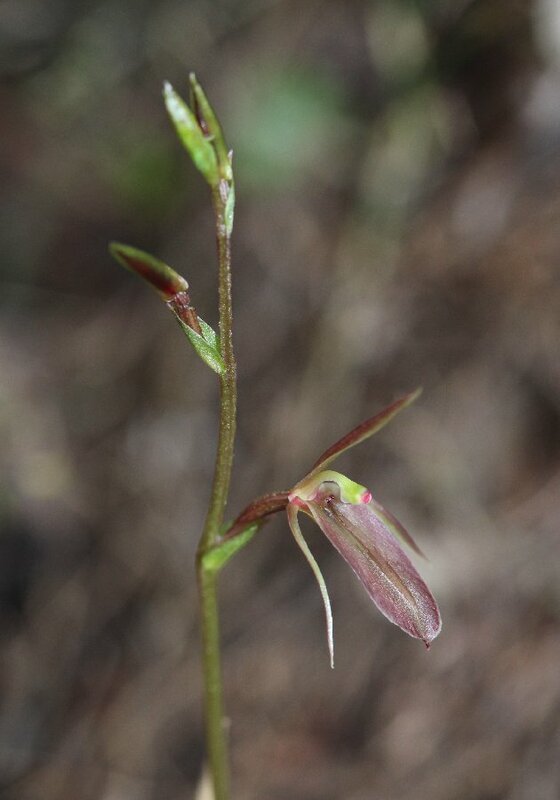 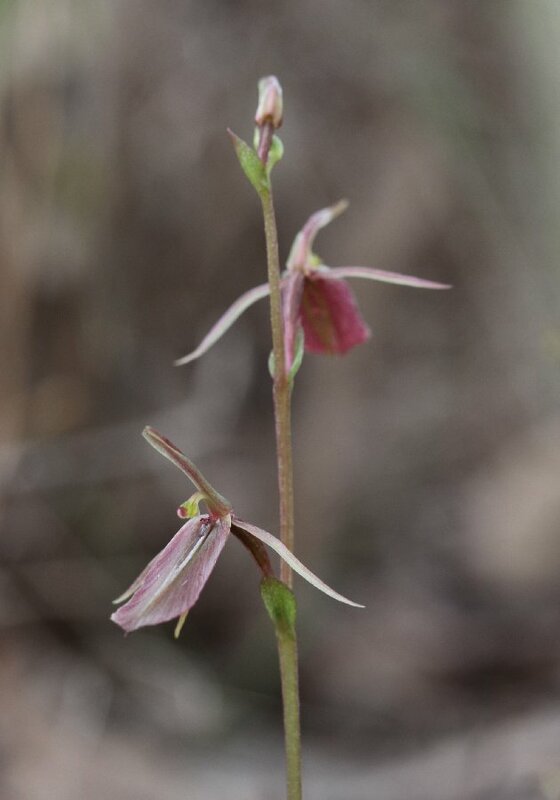 This orchid flowers a lot later than the other Mosquito Orchids - from late September to early November.